In a major relief for developers, states have started extending the deadline for project registrations under the Real Estate (Regulation & Development) Act, 2016. The Goa government was the first to extend the deadline by three months till October. Now, the UP government has extended the deadline until August 15 while the Telangana government is planning to extend the deadline by two-three months. The Public Works Department is working on a proposal to construct an elevated corridor between the Signature Bridge near Wazirabad and the DND Flyway in a bid to decongest the Ring Road and the Outer Ring Road. The corridor is likely to be 12-13-km long, and will be constructed by the PWD in a phased manner. 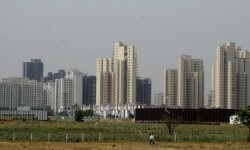 The Yamuna Expressway Industrial Development Authority has said that Jaiprakash Associates (Jaypee) had paid it Rs 300 crore as the second instalment for a 1,000-hectare plot on which the company had developed a sports city in the area. The Gautam Budh Nagar administration has announced that there will be no change in the circle rate in the current financial year. In FY 2016-17, the circle rates were increased by nearly 14 per cent, although the apartments were kept out of the purview of the hike. 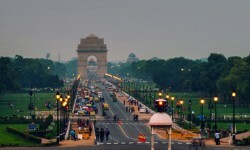 Reports suggest that there might be a hike in circle rate of Jewar given the rise in demand for real estate in the backdrop of the upcoming airport here. 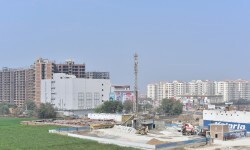 The Ghaziabad Development Authority rejected the applications for completion certificate filed by various developers for 24 real estate projects, after terming them incomplete. According to GDA officials, an inquiry by its enforcement wing found several shortcomings in the projects.